Bargain-buy Behemoth has stamped himself as a horse on the rise with a dominant win in his introduction to Melbourne racing at Moonee Valley. 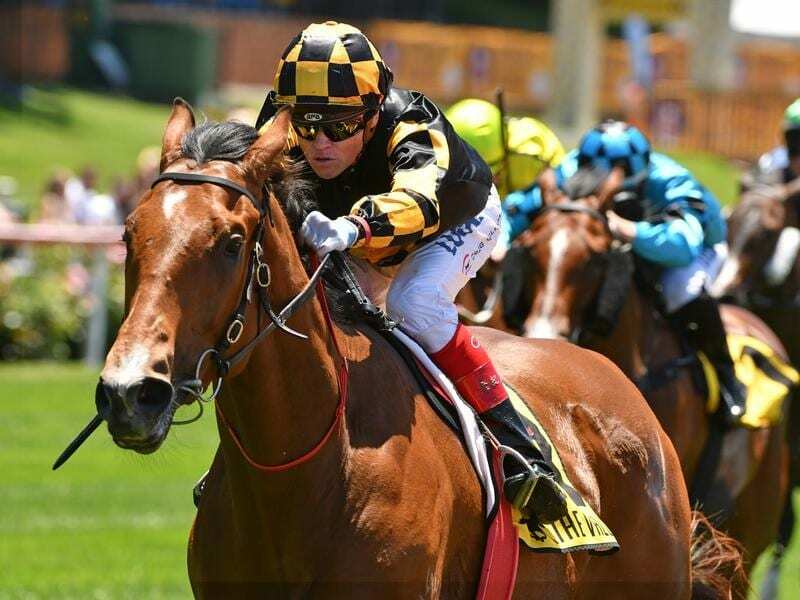 Trained by David Jolly in South Australia, Behemoth made light work of Saturday’s Santa’s Workshop @ The Valley Handicap (1200m) for three-year-olds, surging clear in the small field to win by 3-1/2 lengths. He is now likely to be put away to be aimed at races during the Melbourne autumn carnival or the Adelaide carnival later in the season. Behemoth was a $120,000 weanling but Grand Syndicates picked him up at a yearling sale last year for $6000. “He was an expensive weanling and a cheap yearling, so we never quite knew what the go was there,” Jolly said. “But from day one he has shown us that he’s immensely talented but he’s quite a big horse so we’ve had to wait for a bit. Behemoth, supported from $5 to $3.50 favourite, sat back in the six-horse field but worked into the race before the turn then sprinted clear to beat Social Spin with Smart Elissim another half-head away third. “He’s still doesn’t quite know what he’s doing yet,” Jolly said.